NUEVO X10 – El nuevo modelo mejora en todos los aspectos a los demás auriculares, la membrana del auricular está fabricada en Europa para una máxima potencia y calidad de sonido. Duración de la batería de hasta 3 horas. COMODIDAD y ESTILO – Más cómodos gracias a su diseño, El tamaño mini permite una perfecta fijación en todas las orejas, puedes usarlos cascos deportivos. Contesta a tus llamados con estilo. 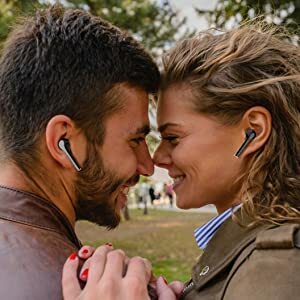 Gracias al Bluetooth 5.0 y el micrófono son los únicos que permiten escuchar las llamadas por los dos auriculares. FACILES DE USAR – Los más fáciles de emparejar, apretando 6 segundos cada auricular, y después emparejando con el dispositivo. Asi de Facil! CARGAR SIMPLE La base tiene un botón para activar la carga. Cada auricular inalámbrico tiene un indicador: en modo de carga, éste muestra una luz roja, azul cuando esta cargado completamente. 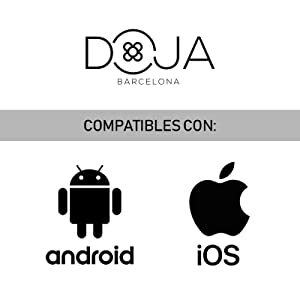 PROBADO EN ESPAÑA – Nuestros cascos, se prueban cuidadosamente en España antes de su envío para confirmar que funciona perfectamente. ENVÍO – 3 días laborales. El nuevo modelo mejora en todos los aspectos a los demés auriculares, La membrana del auricular esta fabricada en Europa para una máxima Potencia y Calidad de sonido. Duración de la batería de hasta 3 horas. Los más fáciles de emparejar, apretando 6 segundos cada auricular, y después emparejando con el dispositivo. Asi de Facil! Disfruta de todas las ventajas del nuevo bluetooth 5. Más velocidad de transferencia, lo que minimiza el retraso en el audio. Más rango de utilización, muévete sin problemas. Con el nuevo diseño mejorado, se acabaron todos los problemas de comodidad y agarre. Disfruta de 3h de música, sin tener que cargar. Además incorporan caja de carga portátil, para recargar donde quieras. 1. Pairing with one earbud:long press the multi-function button until the led flashing in red and blue alternately,then turn on the Bluetooth on your device and select “TWS” on your list,there would be reminding voice saying “connected”then you could enjoy music or making phones calls,it supports reporting incoming calls. b. Then double click EITHER side to enter pairing mode ,or press the button for 3 seconds,there would be reminding voice“ready to pair”. Turn on the Bluetooth on your device and choose “TWS”to connect,when the led flash slowly in blue,they pair successfully. 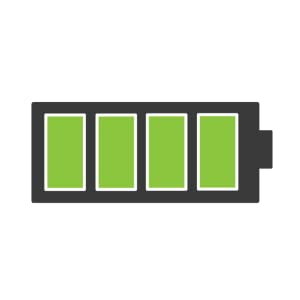 Battery status display on your cellphone. NOTE: There would be only one earbud working when making/answering phone calls,but both sides could control off/play/pause function individually when connected,the other one would be synchronized.Memory function supports connecting devices automatically if being. Be sure the earphone connected with your mobile phone,then you can listen to music on your music list. Shortly press the power button to stop the music and replay by press again. Long press the power button until led in red when not use, the Bluetooth device enter off mode.It would be power off automatically when the earphone away from your Bluetooth device over 5 minutes.No need to worry power exhausted. There is reminding when battery is low, and the led would flash in red at the same time.After putting earphones into charging box,shortly press the power button,and the charging box led would be in blue. Then earphones led would be in red,and turns in blue when fully charged. Note: the earphone would be forced to shut down when charging even if they are power ON before charging. When charging box battery is low,shortly press the power button. And the led would be in red. When taking charge,the led would flash in red, and turns in red when fully charged. 1. Please do not overuse this earphone or put it under heavy pressure, keep away from wet and heat. 2. Keep away from WIFI,router or other high frequency transmitting equipment to prevent interruption of signal receiving. 3. 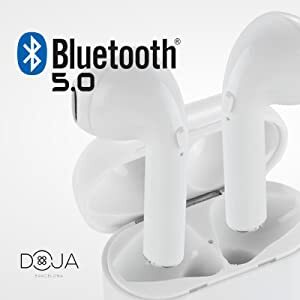 Please use this earphone under its working range(10meters), and the effect would be better if there is no obstacle between the connected devices. 4. Using this Bluetooth earphone to connected any device with Bluetooth function.